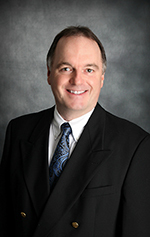 Dr. Neitzke is a graduate of Wadena High School and earned his Bachelor of Science from Moorhead State University, Moorhead, Minnesota. He then attended Pacific University College of Optometry in Forest Grove, Oregon where he earned his doctorate. Dr. Neitzke received additional training in general practice, pediatrics, contact lenses, and the diagnosis and treatment of ocular disease at the Hickham Air Force Base and Scholfield Army Hospital, Honolulu, Hawaii. He is an active member of both the Minnesota Optometric Association and the American Optometric Association. Dr. Neitzke is a Past President of the Minnesota Optometric Association as well as the Minnesota State Board of Optometry and has received multiple awards including Young Optometrist of the year. His interests, includes spending time with his family, hunting, fishing, rai sing apples, and water sports. Dr. Neitzke, his wife Laura, their son, Colin, and daughter Kate, live on Little McDonald Lake near Frazee, MN. He is an active member of Perham Rotary as well as Calvary Lutheran Church where he is a past president. Dr. Neitzke currently serves as president and Managing partner of Minnesota EyeCare Network, Inc. and Minnesota EyeCare Holdings, LLC. Schedule an appointment now with Dr. Neitzke.